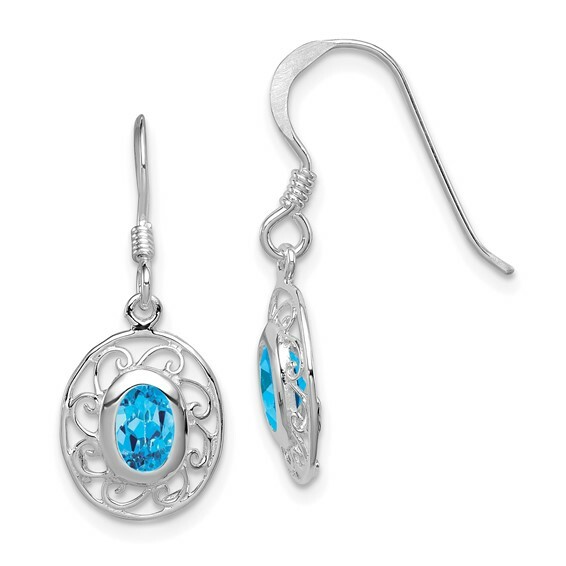 Oval blue topaz gemstones. Polished sterling silver earrings with shepherd hooks. Weight: 1.25 grams. Disc measures 1/2 inch tall by 3/8 inch wide. Made in the USA.